Wirelessly connect up to 3 smartphones or tablets to the speaker and take turns playing surprisingly powerful, room-filling stereo sound. Splashproof means no more worrying about rain or spills; you can even clean it with running tap water. Just don't submerge it. Build your own ecosystem by connecting multiple JBL Connect-enabled speakers together to amplify the listening experience. Hear the bass, feel the bass, see the bass. Dual external passive radiators demonstrate just how powerful your speakers are. 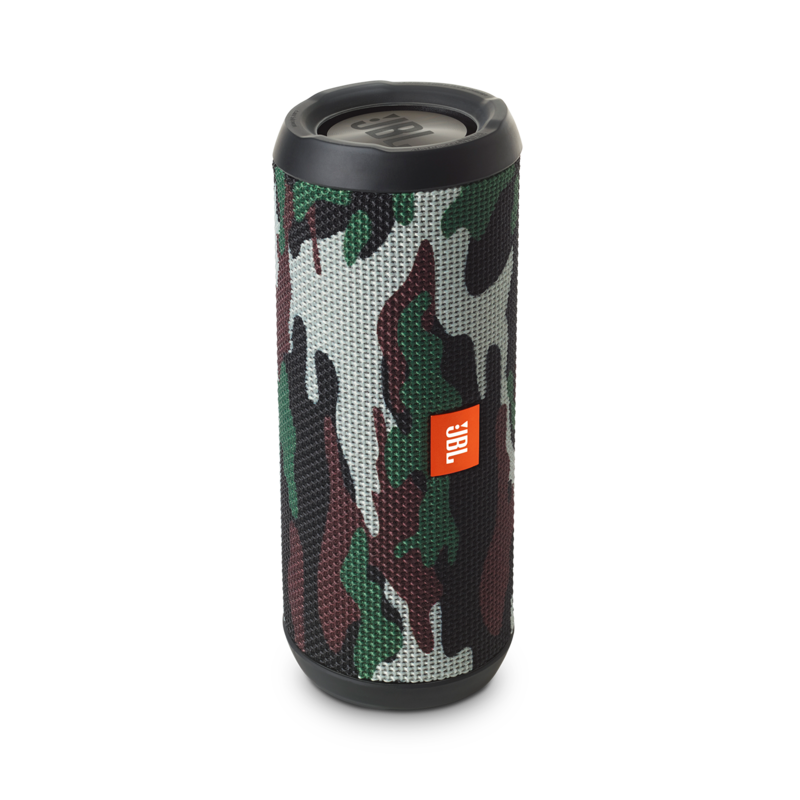 JBL Flip 3 is the next generation wireless speaker in the award-winning Flip series. 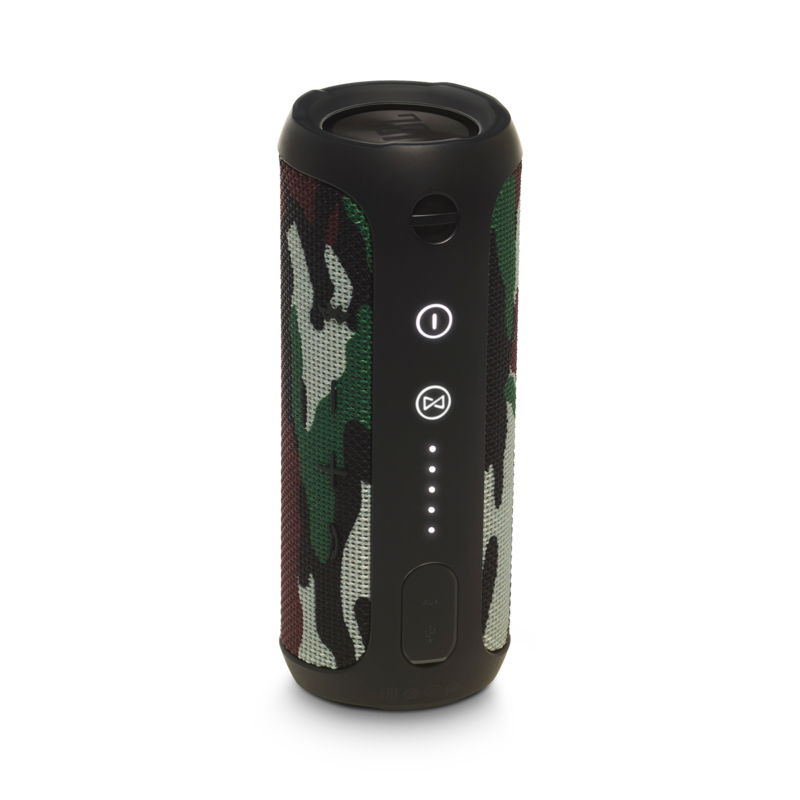 It is a comprehensive portable Bluetooth speaker that delivers surprisingly powerful, room-filling stereo sound everywhere. This ultra-compact speaker is powered by a 3000mAh rechargeable Li-ion battery that offers up to 10 hours of continuous playtime. Sporting a durable, splashproof fabric and available in 8 vibrant colors, Flip 3 is the all-purpose, all-weather companion that integrates music into every aspect of your life – from tabletop to poolside, from sunny mornings to rainy nights. 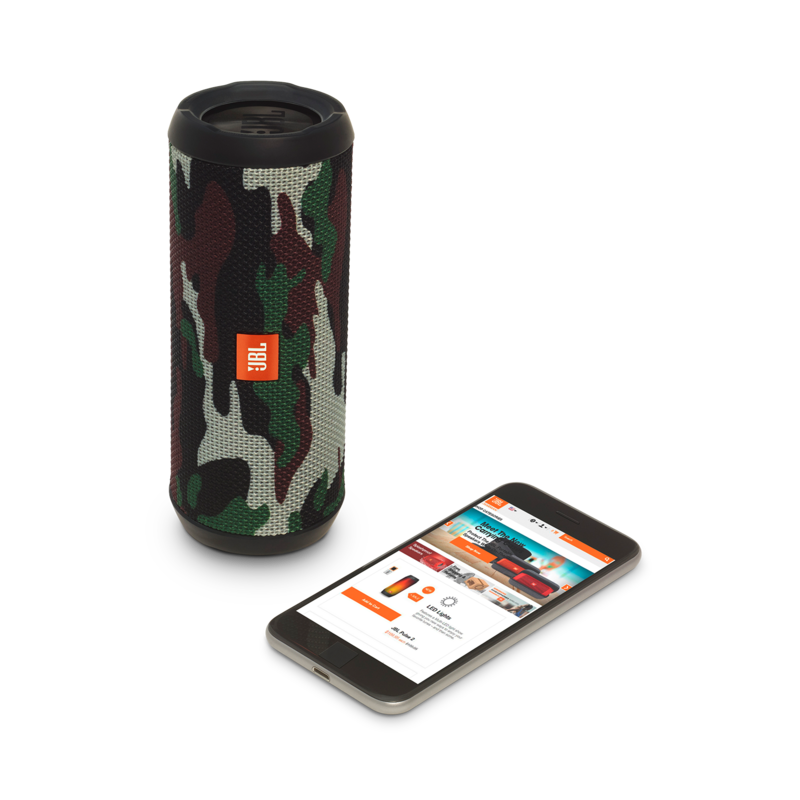 Flip 3 also features a built-in noise and echo cancelling speakerphone for crystal clear conference calls, and JBL Connect technology that can wirelessly link multiple JBL Connect-enabled speakers together to amplify the listening experience.